Craig Fagan scored his first goal for Bradford as they beat Torquay 1-0 at Valley Parade to claim their first win in seven games. Fagan's decisive goal came in the 38th minute after Bradford had been reduced to 10 men following the sending-off of central defender Andrew Davies. The loan signing from Stoke was shown a red card in the 24th minute for a foul on midfielder Danny Stevens. 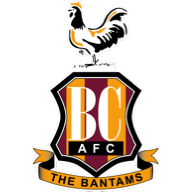 Despite the handicap, Bradford took the lead when left-back Robbie Threlfall's free-kick from just inside the visitors' half was flicked on by defender Luke Oliver for Fagan to fire the ball through the legs of goalkeeper Robert Olejnik. 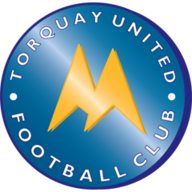 Torquay's best first-half effort came in the 41st minute, Bradford goalkeeper Matt Duke forced to dive full length to keep out a 20-yard shot from left-back Kevin Nicholson. Although they had a numerical advantage, the Gulls could not find a way through a resolute Bradford defence featuring their former centre-half Guy Branston, brought on as substitute following Davies' sending off. Bradford came close to scoring again in the second half when Fagan lobbed the ball over the head of Olejnik only to see it rebound off the underside of the crossbar in the 54th minute.